At AllFreelanceWriting.com, we recognize that privacy of your personal information is important. Here is information on what types of personal information we receive and collect when you use or visit AllFreelanceWriting.com, and how we safeguard your information. We never sell or rent your personal information to third parties. Your email address and other personal information may be collected when you subscribe to any email list, email course, or other email delivery offered by All Freelance Writing, or if you make a purchase of something sold by or through All Freelance Writing. I hate spam as much as you do. So this information is never sold or rented to others. It's used only to send emails to willing subscribers and customers, and you may unsubscribe at any time by clicking the unsubscribe link at the bottom of any email you receive. By submitting your email address, you consent to that data being transferred to my email marketing provider (which handles list management and delivery on my behalf -- this company is currently MailChimp). As with most other websites, we collect and use the data contained in log files. The information in the log files include your IP (internet protocol) address, your ISP (internet service provider, such as AOL or Shaw Cable), the browser you used to visit our site (such as Internet Explorer or Firefox), the time you visited our site and which pages you visited throughout our site. This information is used privately by the site administrator to make improvements to the site. It is also used to identify spammers and trolls when necessary, including individuals posting under multiple handles in a fraudulent way. In this situation stats may be used to identify the individuals, and falsely-attributed comments will be edited and attributed to the actual commenter. While this information may be used to expose those spammers and trolls, the IP address, email address, and details other than the original poster’s name or primary handly will not be shared with anyone else other than if required by a court of law. 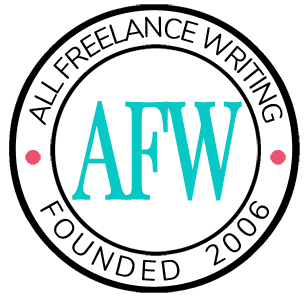 We also use third party advertisements on AllFreelanceWriting.com to support our site. Some of these advertisers may use technology such as cookies and web beacons when they advertise on our site, which will also send these advertisers (such as Google through the Google AdSense program) information including your IP address, your ISP , the browser you used to visit our site, and in some cases, whether you have Flash installed. This is generally used for geo-targeting purposes (showing New York real estate ads to someone in New York, for example) or showing certain ads based on specific sites visited (such as showing cooking ads to someone who frequents cooking sites). You can chose to disable or selectively turn off our cookies or third-party cookies in your browser settings, or by managing preferences in programs such as Norton Internet Security. However, this can affect how you are able to interact with our site as well as other websites. This could include the inability to log into services or programs, such as logging into forums or accounts.